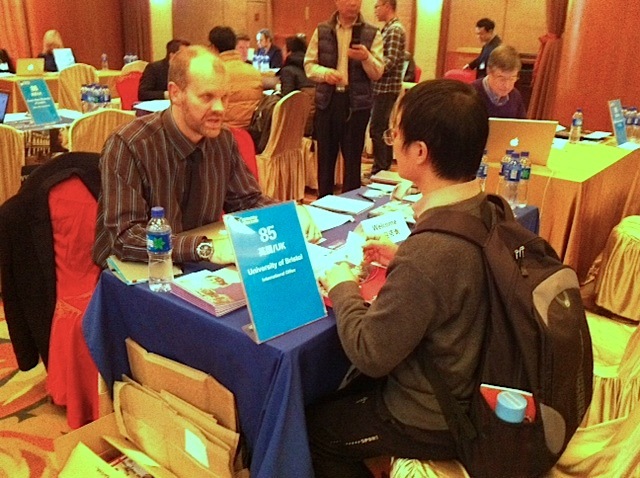 Charl visited Beijing and the China PhD workshop last week to talk about graduate opportunities for study and research at the School of Chemistry. Although very short, it was a busy trip meeting with students interested in studying in Bristol and giving a presentation (with Dr Terry McMaster from the BCFN, and Dr Emma Turner from the Bristol Chemical Synthesis CDT) at Beihang University. Here Charl is talking to an interested candidate at the workshop! Although also Christmas season, it is also viva season in the FRG. Emily successfully defended her thesis on Monday the 2nd of December, Ben his on Thursday the 5th of December, and Tom is defending his thesis today! Well done Emily and Ben, and good luck Tom! More details and photos to follow soon!